Today, we're delighted to share the launch of the Sew What Club, a brand new garment pattern subscription that delivers a fresh, exclusive sewing pattern to your inbox each month! You choose whether you'd like women's or children's patterns, and then you have a fun new project to make each month! 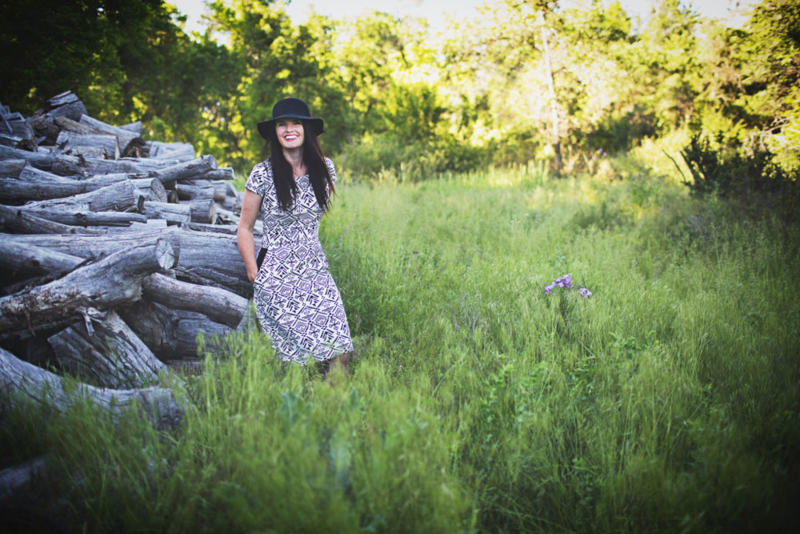 We caught up with wandering seamstress Kelly Crawford of Sewing in No Mans Land to learn more about how she organized the Sew What Club, and we're delighted to give away a year's subscription on our Facebook page today! 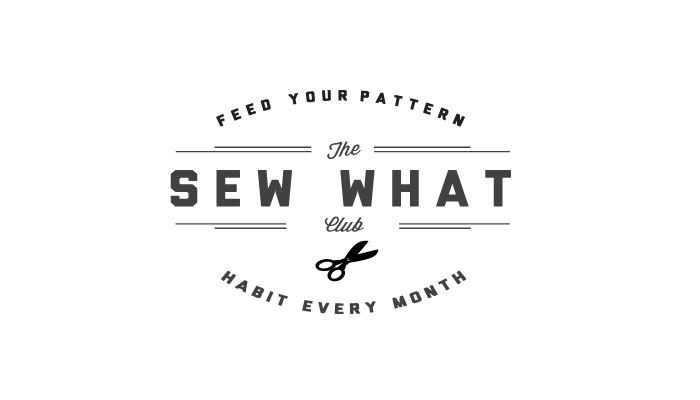 Please tell us a bit about the Sew What Club and how you were inspired to create this subscription. This year I was lucky enough to attend the SNAP! Conference that is held in Salt Lake City. Since I am usually not living in the states I was so excited to be able to learn more about blogging and hopefully meet some of my favorite fellow sewing bloggers. It did not disappoint. After I left I was sitting in bed one night reviewing the pages and pages of notes I took and started thinking about how my favorite part of the conference was interacting with the other sewing bloggers in attendance. This then led me to think about how much fun it would be to do something more than just your group sew along. I also thought about how some of my favorite sewing bloggers have never offered patterns before because it is such a HUGE undertaking. This all snowballed and it was seriously that comical light bulb moment. I couldn't wait to call my husband in Afghanistan the next day and share my idea with him. 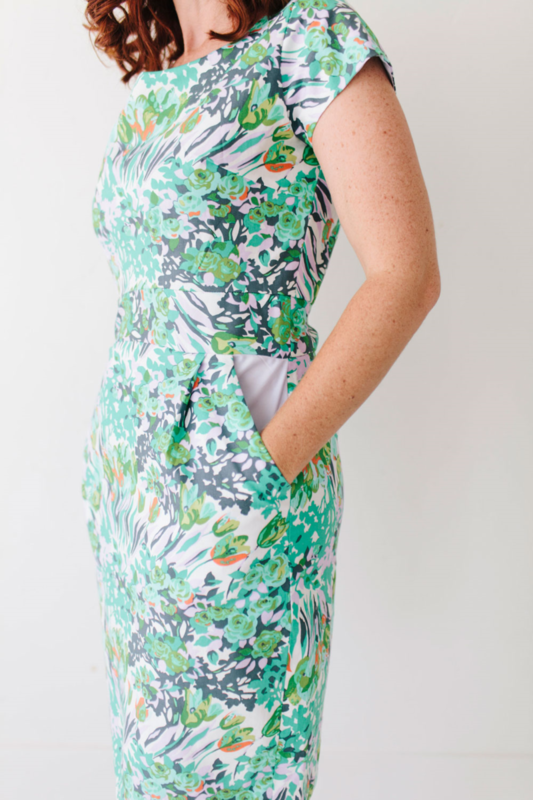 At first I was really really nervous to ask other sewing bloggers to be part of the team. Everyone is so busy these days and committing to create a pattern (even if you aren't doing the grading, etc.) is a big deal. But I took a deep breath and asked my first two bloggers who both jumped on board. After that it wasn't so scary! After getting designers on board we decided to get all the details worked out. 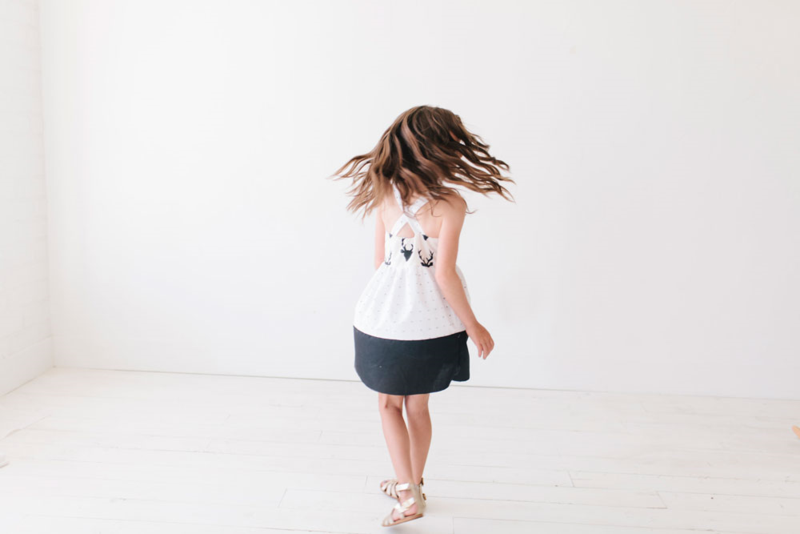 We settled on offering two monthly subscription options (women's, with one pattern monthly, and children's with two patterns monthly) and have tried to keep it super affordable. 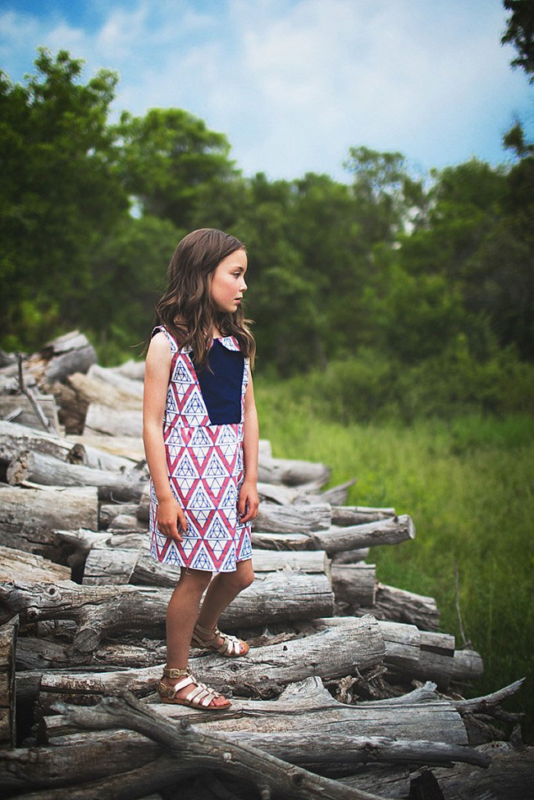 I am so excited to see the patterns that our featured designers create through out the year! Who else will be contributing patterns? We are always looking for new designers to join the team and add fresh new patterns to the line up. 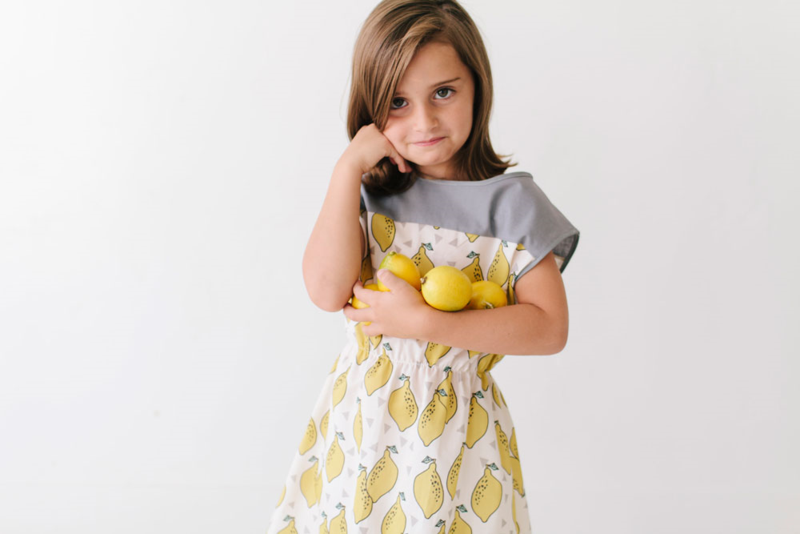 Some of these designers will be doing both a women's and children's and some will be exclusive to one or the other depending on their personal sewing interests. I am pretty excited that we have some international designers among the group and hope to expand on that. Who did you have in mind when creating this subscription? 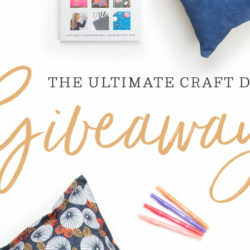 When I first came up with the idea for a subscription I was thinking about all the awesome pattern bundles that are out there (so many great ones!) but I thought about how I never end up creating all of the patterns. When I get them all at once I get a wee bit overwhelmed and will sew one or two then burn out from sewing new patterns and the learning curve that inevitably comes with it (am I the only one who's first attempt at a pattern usually looks like a I sewed it with my eyes closed while my third looks perfect?). I thought that instead, getting a new pattern or two every month that you can get super jazzed about and sew a bunch of would be great. Then just when you are feeling "done" with that pattern here comes a new one! Also then we can taper the type of pattern to the season. I am really excited about the Christmas dress pattern I have to share! We try to keep all our patterns simple enough that new sewers will be able to tackle them but interesting enough for more advance sewists without the patterns being too easy and boring. This is a tricky mark to hit but I really hope we do it. What was the process like for creating the Sew What Club and getting the site up and running? Oh my gosh. It was so so rocky. Seriously like pull your hair out–ha! There are so many elements that go into making the SWC run seamlessly and it HAD to run seamlessly. People are paying hard earned money for this membership. They don't want to have trouble with downloads or hiccups on the site. First we tried one platform, purchased all the themes & plugins etc. only to find out it just literally couldn't perform what we needed to. So we started over again, and again until FINALLY we found this little company in Arizona that had exactly what we wanted. It was like angels singing–ha! We think we have finally established the perfect platform but are realistic that tweaks are going to have to be made as we go along. I started sewing ten years ago. My husband had been deployed the day after we both graduated from college for Operation Iraqi Freedom with his National Guard Unit. While I applied for jobs I lived with his parents. My mother-in-law is an incredibly talented seamstress. To this day, if I have a problem she is who I go to. She very patiently taught me the basics (aka how to thread a bobbin). Shortly after I moved to DC to work as a writer for the National Journal. I kept sewing and would often have to take a half finished project into the local fabric shop and have one of the sweet ladies explain to me how to move forward. When we moved to East Timor there were no malls, no movie theaters, there were barely grocery stores. I had to fill my free time and really dove into sewing. This is when I started Sewing In No Mans Land. It would take HOURS with our painfully slow island Internet to upload pictures, but it was worth it. It was my connection to the outside world, and looking back, it is what kept me sane. Now with YouTube and sewing blogs it is such a great time to learn to sew! I love being able to type in "Bias tape finish" and find five videos and ten blog posts that show me how to do it correctly. Amazing! What made you want to design your own patterns? I feel like there is a revolution going on right now with sewing patterns. For a long time I feel like sewing patterns stayed pretty much the same. Which is fine. But with this new generation getting into sewing there was a gap that needed to be filled. New, on-trend sewing patterns. What is fantastic is that with online classes people who aren't able to go through years of fashion school can still contribute to this digital pattern community. The reason I started designing is the same reason I started sewing. I either couldn't find the clothing I wanted or when I did it was prohibitively expensive. 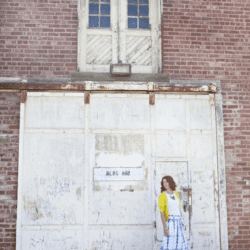 How has being a part of the blogosphere influenced your sewing and pattern making? I comment OFTEN how lucky I am to be in the blogging niche that I am. The sewing community at large is a friendly one. I couldn’t imagine the pressure I would feel being a lifestyle blogger or exercise blogger, etc. but this is probably also due to where my interests lie. I feel like the sewing blogosphere generally adheres to the theme "we all rise together". Having recently met a lot of these bloggers I can attest to that fact that they are as sweet and funny in person as they are on their blogs. You are often traveling, how do you find the time and space to create such beautiful garments? First, thank you for thinking they are beautiful! Second, oh man. This is a hard one. From the get-go my husband and I decided the priority for our family would be exploring the world as much as possible. This is what most of our expendable income is saved up for and spent on. Because of this, I am probably the only sewing blogger I know who does not have a fabric "stash". I rarely buy fabric unless I have a specific project in the imminent future for it. I just don't have the expendable income or space to store it, and eventually, the shipping weight allowance to keep it. My current sewing room is the left half of our walk in closet. In Paris it was the storage room at the end of our hall of bedrooms. The theme of my blog is "create anywhere" and boy do I mean it. You don't need a craft room to create. Don't get me wrong, it would be fabulous, but at least, for me, I don't see it in my future. The state department chooses our housing and requesting an extra room is not something we can do. But as I talked about earlier, if you make it a priority then it happens. Right now I am in a time in my life where I am a single mom 95% of the time. Finding time to sew was near impossible until I decided to wake up at five every morning. I know. Awful right? And I am NOT a morning person. But it was honestly the only option for me to get a few uninterrupted hours when I could actually focus and get what I wanted done. It took me a few weeks but now my body naturally wakes up and by the time the kiddos wake up I am ready to be there for them 100% (usually ha!). I figure everyone has to make sacrifices for what they love. For me it is sleep and any sort of show watching ha! I haven't watched a TV show regularly for years. Who needs TV with a new pattern to sew each month?! 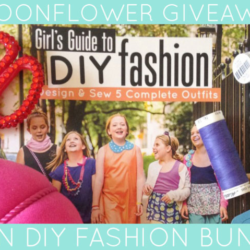 Head over to our Facebook page to enter for your chance to win a year's subscription to the Sew What Club! This is a fantastic idea for a monthly subscription! 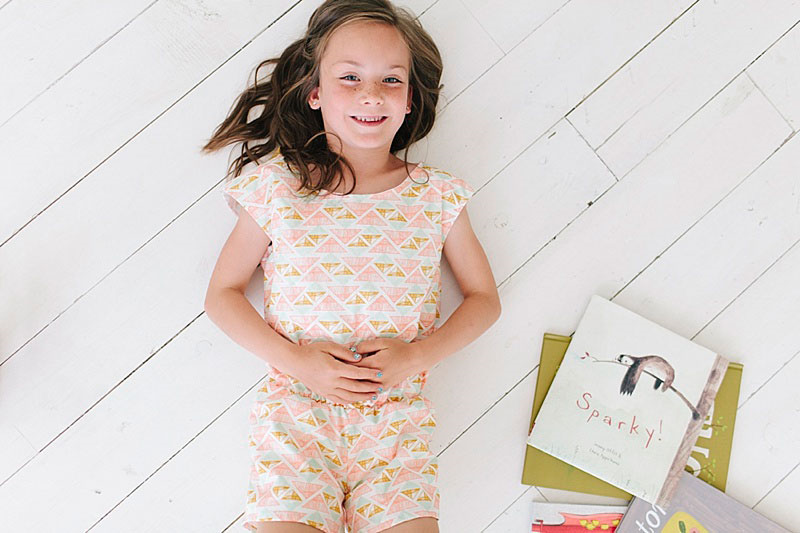 My littles would be so happy to pick more fun fabrics for their wardrobes! Thank you so so much for featuring the sew what club! 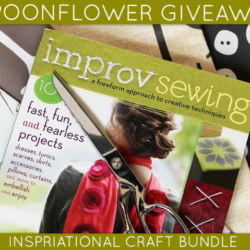 We are thrilled to be teaming up with spoonflower and just absolutely honored! Awww… if they accepted PayPal I’d sign up in a heartbeat. I do not like getting my cards for online anything. Annelie, We will accept PayPal very soon! Keep an eye out.